Race Team News – Page 21 – Tekin – Smaller, Smarter, Faster! 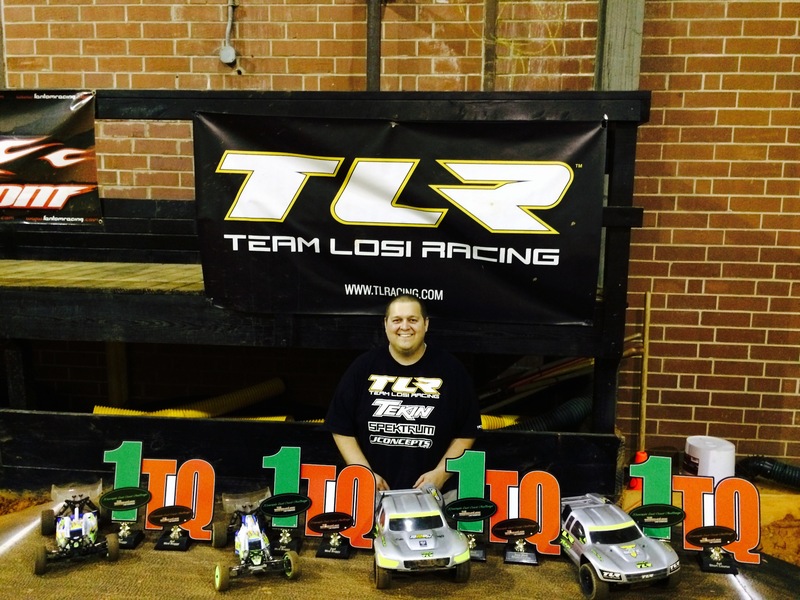 Tekin scares the competition at LCRC! 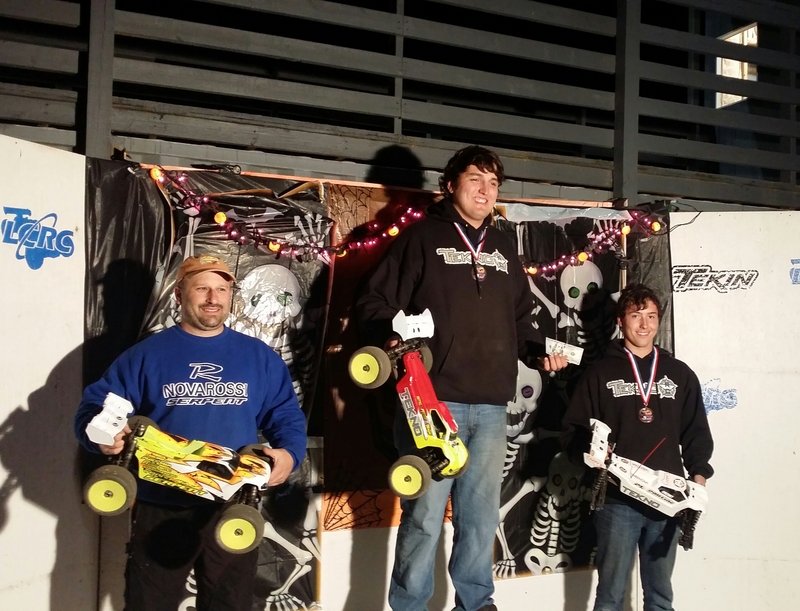 LCRC in Oakland Mills, Pennsylvania held their annual Halloween race. Racing was fast and enjoyed by all. The largest class of the weekend being Electric Buggy with 71 entries. 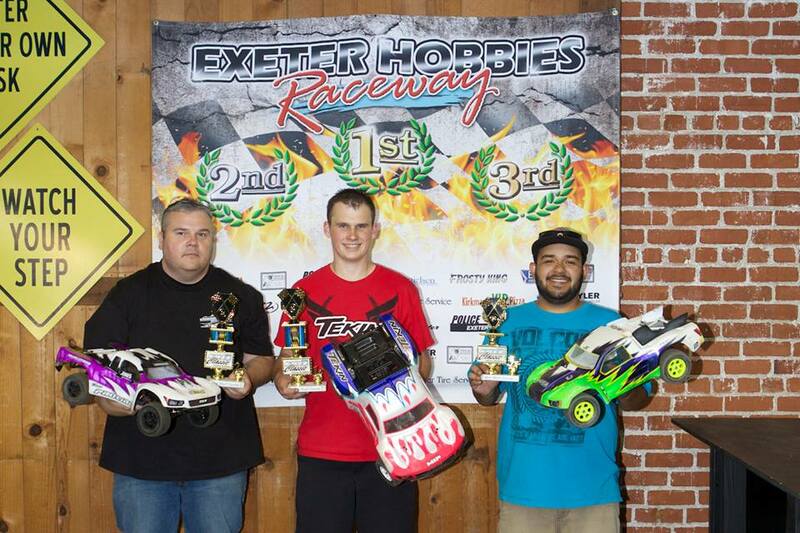 Tekin driver Joe Bornhorst would Tq both the 1/8 E Buggy class and 1/8 E Truggy class handily. Starting from his Tq position Joe would simply walk away from the competition leaving them in his wake. Joe’s Tekin powered Tekno cars were simply too much for the rest of the field. Joe chose the Tekin Rx8 Gen2 esc and T8 Gen2 2000kv Motor. Joe chose the Tekin Rx8 Gen2 esc and T8 Gen2 1900kv motor. 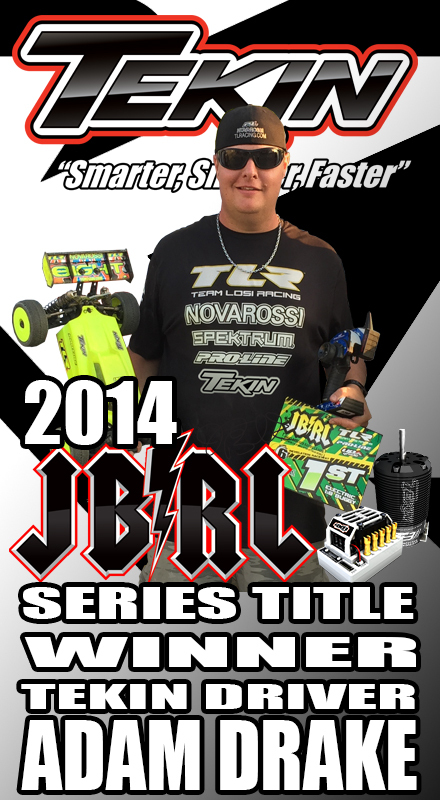 “Thanks to all of my sponsors, Tekin, Tekno RC, Magic Hobbies, AKA, MIP, SMC Batteries, Avid, PT RC Racing Oils, Radio Impound Podcast, and 92zero Designs.” Joe Bornhorst. Exeter Hobbies held their Exeter Hobbies Fall Classic which would bring over 90 entries. Saturday Morning would bring an early start of 6am with controlled practice running till 8:30am. 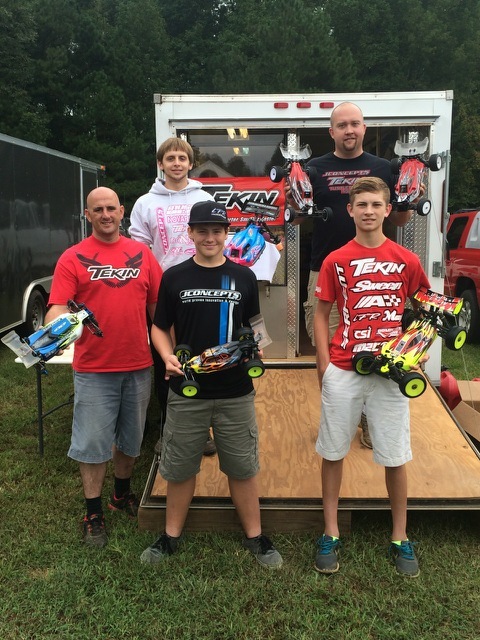 Tekin team drivers would be fighting each other for the overall Tq in 2wd Mod Buggy, 4wd Mod Buggy, and 2wd Mod SC Truck. Ryan Dunford would take the overall Tq over teammate Derek Stephansen in the 4wd buggy class. Derek would return the favor taking the 2wd Mod Buggy overall Tq and 2wd Mod SC Tq as well. The 4wd buggy A-main was up next. At the start of the tone it would be a race through the option line with Dunford taking the outer lane and Stephansen through the ripples on the inside. Having gone through this line all day with no mistakes, Stephansen would bobble on the first lap sending him to tenth. This would remove all pressure from Duford who was on point with his Tekin powered TLR 22-4. Running the RSX and Redline Gen2 5.5 motor, he pulled away from the field leading wire to wire for the 7 minutes never worrying about power. 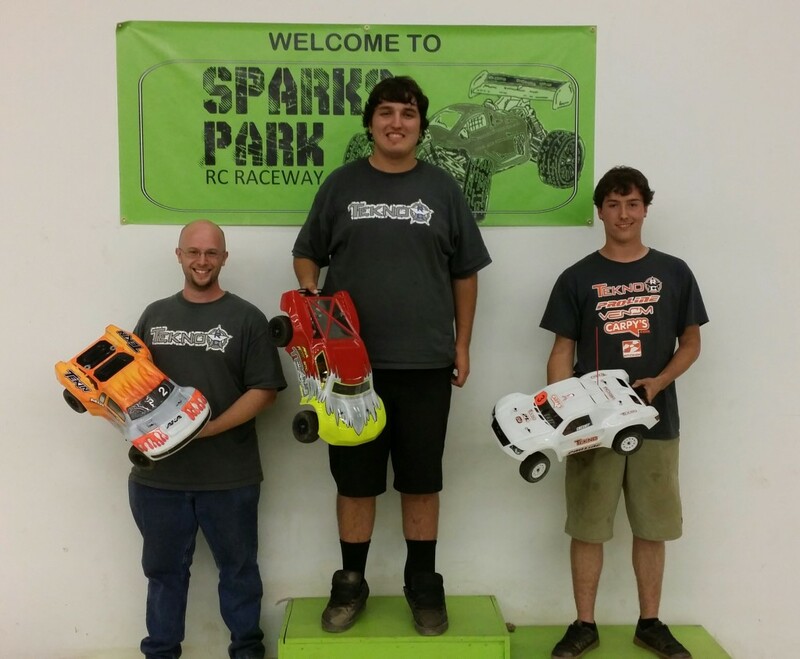 4wd SC had Ryan Dunford start from his Tq position in his Tekin RX8 Gen2 powered TLR SCTE 2.0 to victory from the TQ position using the Tekin pro4 4600 motor. Tekin teammate Doug “Casper” Nielsen would join Dunford on the podium in the 2nd position running the same system. Come mains time Stephansen would be start from the pole in 2wd Mod A-Main. Stephansen would get a great start and begin to stretch his lead over 2nd until a CVD would ultimately fail while leading. This would give Dunford the lead. On lap 2 coming onto the sweeper Dunfords car flipped over and he would fall to last. For the rest of the 7 minutes, he pushed hard and would pass for 2nd place on the last lap. 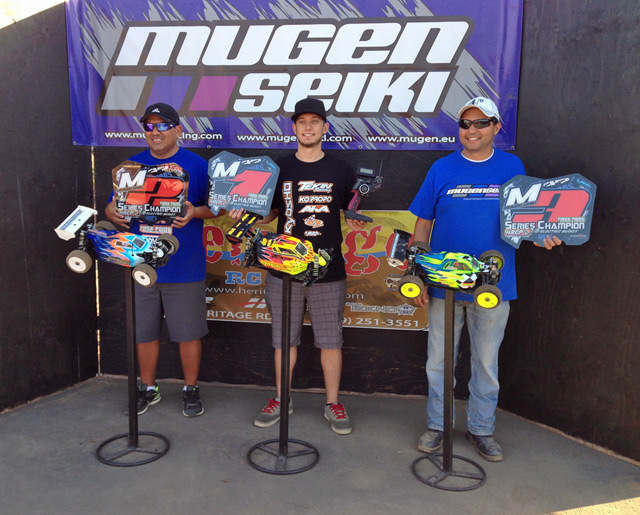 Sanford and Tekin win Mugen GP Series! A mistake free run on a wet track, Tekin powered Lucas Sanford would set the TQ at final round of the Mugen Seiki Grand Prix Series. Sanford would better his TQ with a win in round 2 on a dry track on AKA Soft Impacts, and would start the 10 minute A-Main on the pole. Lucas got a great start in the Main, and my Tekin Rx8 Gen2 T8 Gen2 1900kv powered Kyosho MP9e TKI stretched out a big lead. Sanford would continue tor run mistake free, finishing the race in first place and also took the overall series win! 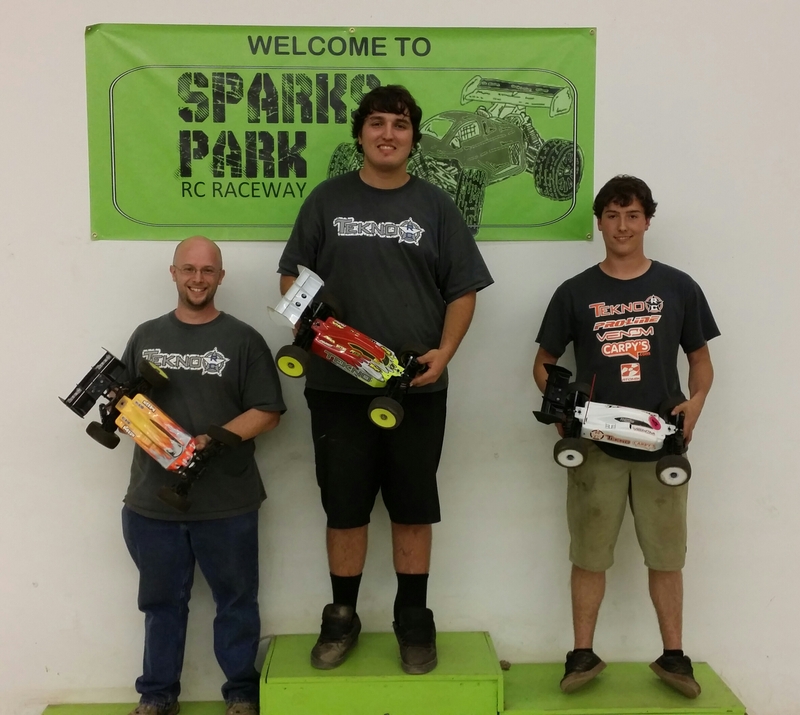 This past weekend Max Flurer attended the JConcepts East Coast Challenge at the The Warehouse RC Complex in Haw River, NC. 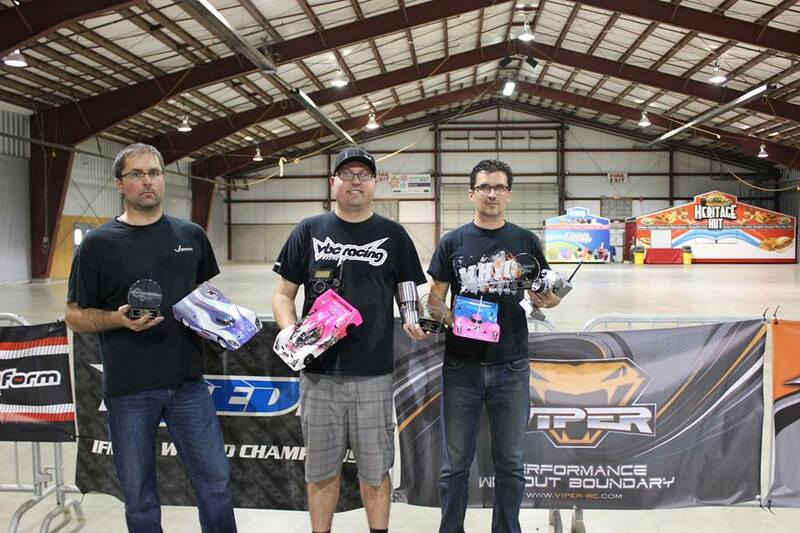 Tekin powered Max Flurer was table to take the Tq and win in all 4 classes he ran. All tuned with the Hotwire 2.0 USB device. Adam Drake takes the JBRL Series Title. 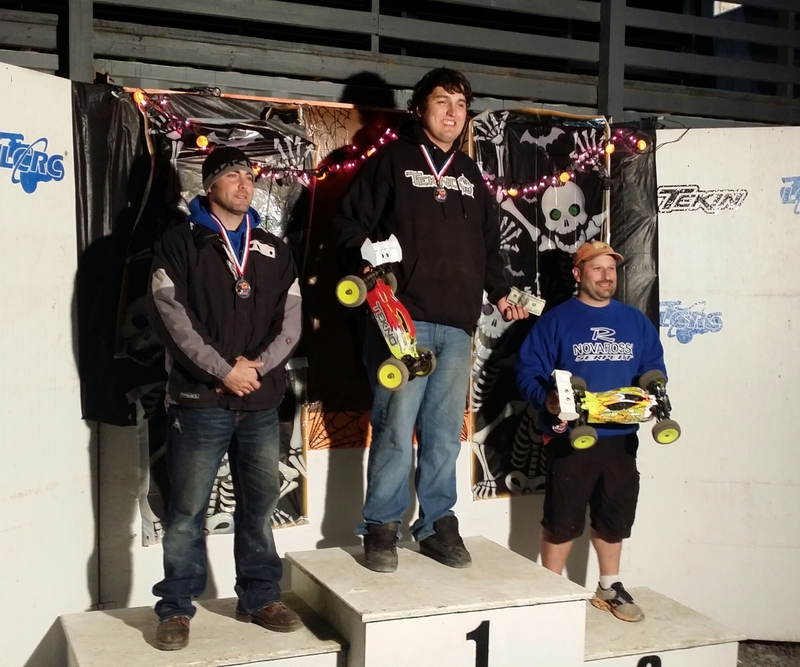 Round 6 of the JBRL Nitro Series was held at Revelation Raceway in Ontario, CA. Once again the series attracted a large amount of talented drivers with a total of more than 120 entries. 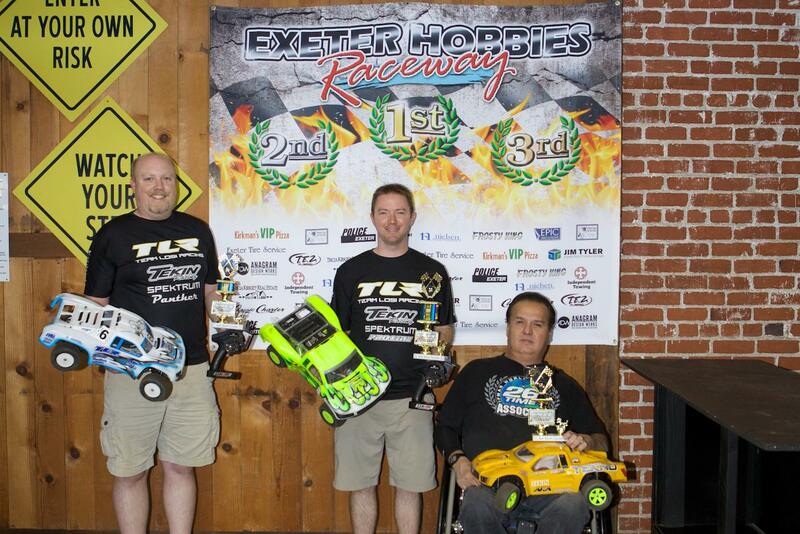 Adam Drake tq’ed and won the Expert Electric Buggy class with his Tekin powered TLR 8ight E 3.0. Adam chose the award winning Tekin Rx8 Gen2 Esc and T8 Gen2 1900 and T8i 1950 to power him to his JRBL series title after wrapping it up early in the first 6 races. Team Tekin Driver Paul Timberlake using the Tekin RSX and Gen 2 6.5 Motor took the win in the A main – Round One of SMCC Winter Series. A damp track greeted the driver’s early Sunday morning qualifying, knowing this most drivers opted for the softer Silver compound tyre. Round’s one, two and three would be shared between Kevin Lee and Paul Timberlake meaning the final rd, (using the rd by rd format) would be a straight fight between the two drivers, and the big question was, was it dry enough for dry tyres. Yes was the answer. A scrappy fourth rd, enable Kevin to take the overall Top spot on the grid. A close second was Paul Timberlake, and 3rd was Nigel Buck. A Main Final: An early mistake by Kevin allowed Paul to take the top spot, and he didn’t look back from there. As hard as Kevin chased, he didn’t have the ultimate pace to catch Paul, although a couple of late bobbles allowed Kevin to close the gap, but Paul held his nerve and took the Win. Bornhorst takes Rd1 of the WRL series! 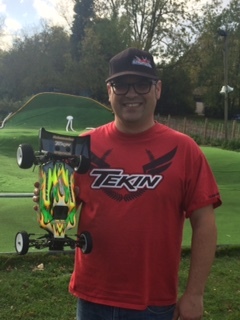 Tekin factory driver Joe Bornhorst attended Rd1 of the Winter Racing League series held at CRCRC, Ohio RC Factory, and Sparks Park respectively. Joe entered the Pro4 SC class and 1/8 E buggy divisions. “On Friday afternoon, I arrived at the track and began to get ready for some practice runs. Both of my Tekin powered Tekno vehicles were on point from the first lap on the track, which made the night pretty easy on me. Since no changes were needed for my cars, I spent my time breaking in my AKA Clay Typos, and continued to learn the track. It was a pretty basic practice night. On Saturday morning, I arrived at the track bright and early and prepared for the day. I ran each of my cars twice, which served as a nice warm up for the racing that soon followed. Throughout every round of rocket round qualifying, I was able to hold the TQ spot in both classes, with the 2nd round being the quickest runs for me in both classes. As the day went on, the track began to dry out but still no changes were needed for either of my cars. Going into the mains, I felt quite confident that I could hold onto the top spot, but I knew that I would still have to have clean runs to bring home the wins. Luckily, I was able to do just that, and pulled away from the pack to take the wins in both main events! I would like to thank all of my sponsors for the continued support, Tekin, Tekno RC, Magic Hobbies, AKA, MIP, Avid, SMC Batteries, PT RC Racing Oils, the Radio Impound Podcast, and Double Crossed Designs. Photobomb Tekin and Win an RSX System! Show us your Tekin and we’ll show you ours! Post a picture of any Tekin product or Tekin advertising photobombing you and we’ll show you some love in return. 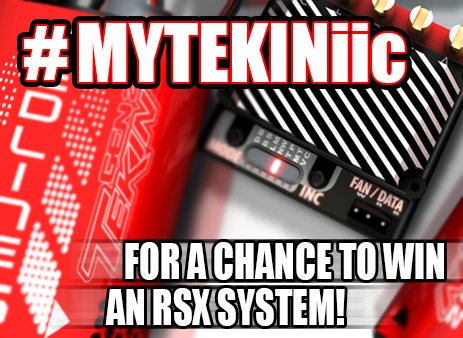 Post that picture on Facebook, Twitter, Google +, or Instagram using #MYTEKINiic and the winner chosen at random will receive a brand spanking new Tekin RSX Esc and Redline Gen2 motor of their choosing. The winner will be chosen at random and be notified via the chosen posts social media. The picture must include a picture of you along with a Tekin product, Tekin banner, Tekin wear item, or other to official Tekin item to become eligible. Winner shall agree to be used in any and all advertising rights regarding this contest. Winner authorizes Tekin to use their picture and likeness to be posted on social media as well as other sites at Tekin’s discretion. If the winner chooses to send a follow up picture once the prize package is received their picture will be on the Tekin Facebook Fan Page for a week! Dave Ehrlich ran up north of the board to attend The Big Chill 2014 in Chilliwack Canada. 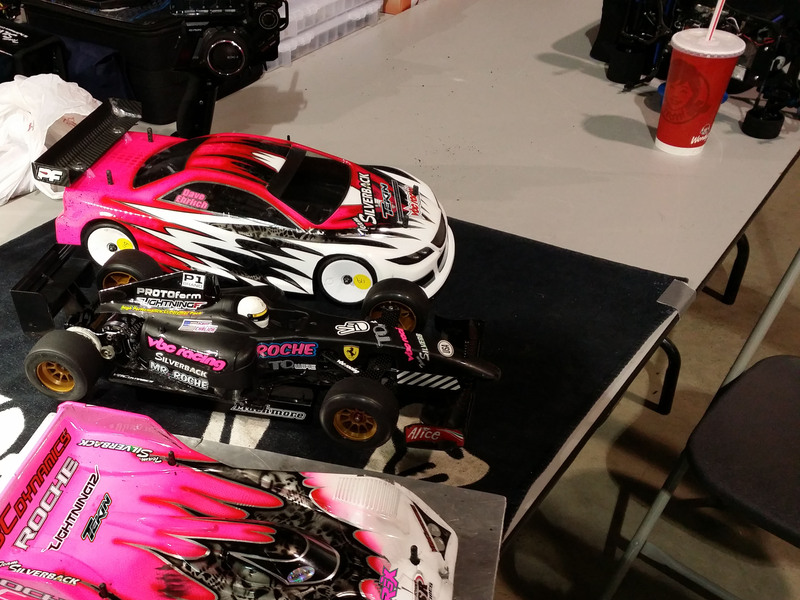 Dave chose to run his VBC Racing cars to help dial in his new Tekin power under the hood. 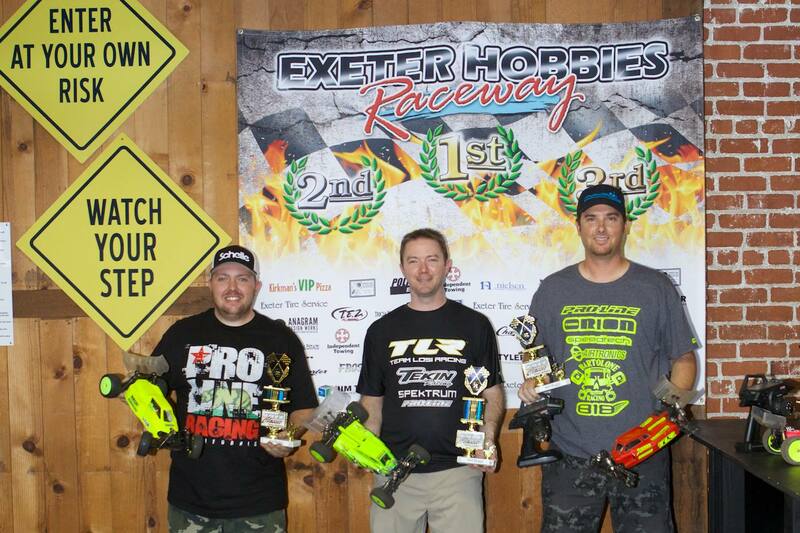 Dave ended up finding the “spot” which was validated by his triple Tq and triple win weekend! Dave Ehrlich Tq’d Modified TC running a Tekin RSX and 5.0 Redline Gen2 in his VBC Racing D06 DE edition. Dave once again chose the Tekin RSX and Redline Gen2 but this time chose a 4.5T motor in his VBC Lightning G12. Dave chose the Tekin RS Gen2 to power his VBC Lightning F formual 1 car. 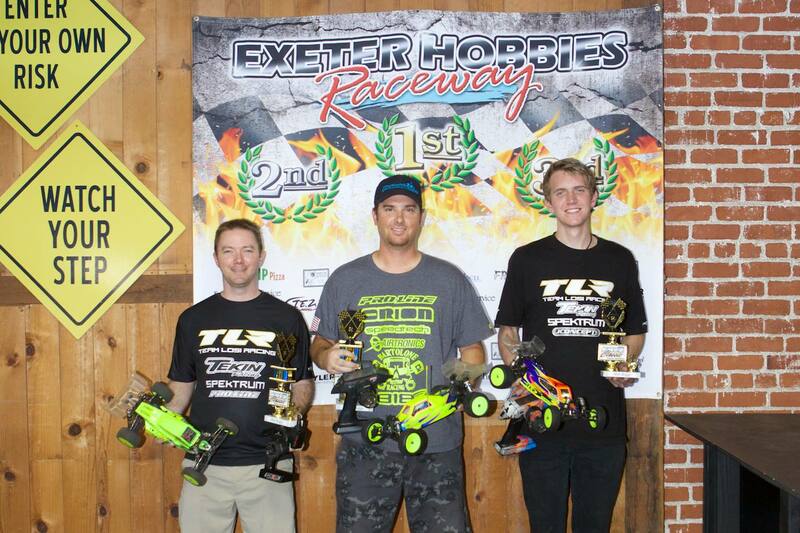 3 classes, 3 Tq’s, 3 wins…. Dave Ehrlich will be looking for more success attending the International Indoor Champs held in Las Vegas next week which is brought you to by Scotty Ernst and title sponsored by Tekin! Stop by the Tekin tables, say hello and see what’s new with Team Tekin. Tekin and Mark Moon win SOS Finally! 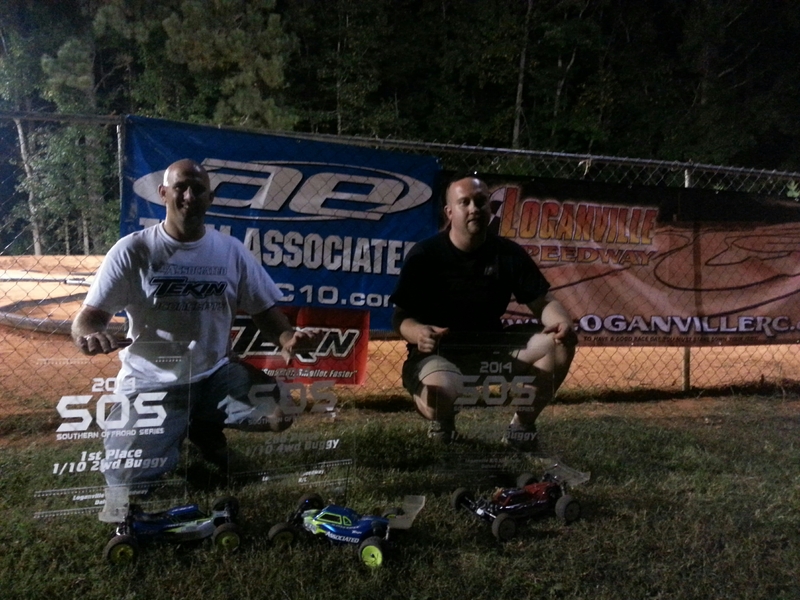 On September 27 2014 the SOS Series finally would be held in Loganville Ga. With well over 170 plus total entries. 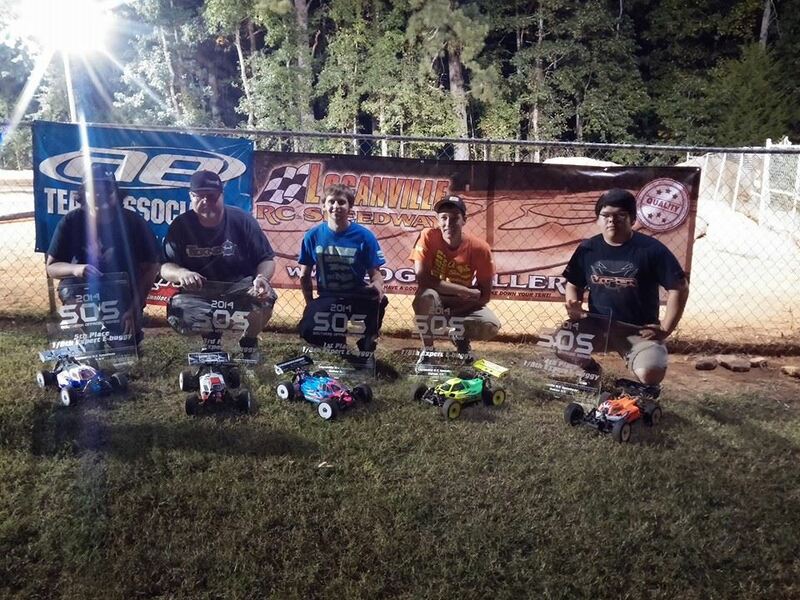 This was a 4 race series that took place in Ga. People from Florida, South Carolina, Tennessee and other surrounding states made the trip to the series and finals. 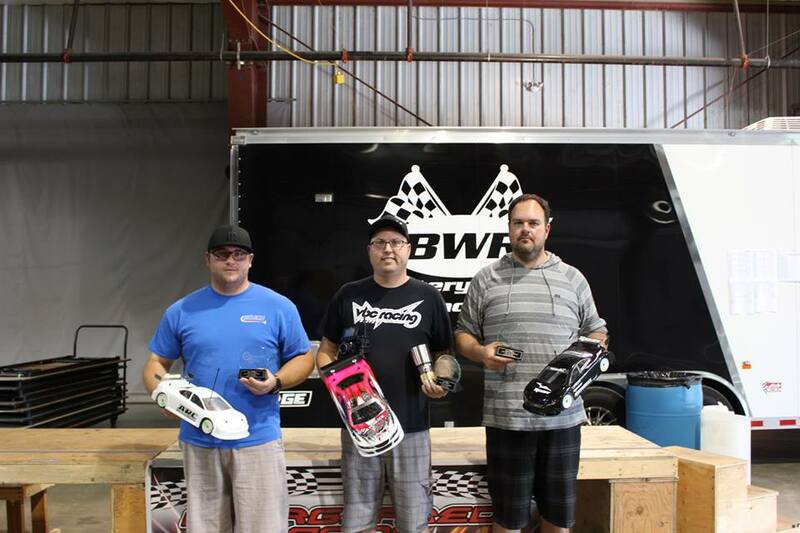 Tekin had drivers Mark Moon, Peyton MacDonald, Shay Brand, Griffin Hanna, and Blane Allen were in attendance for the SOS final to not only race but offer support to anyone running Tekin equipment.